Hi guys. Caught this today. Not 100% sure what it is but thinking longtom? Just the mouth isn't as big and long as Google would suggest but maybe that just comes with age? Put him back to live another day either way. Re: Fish ID please. Longtom? 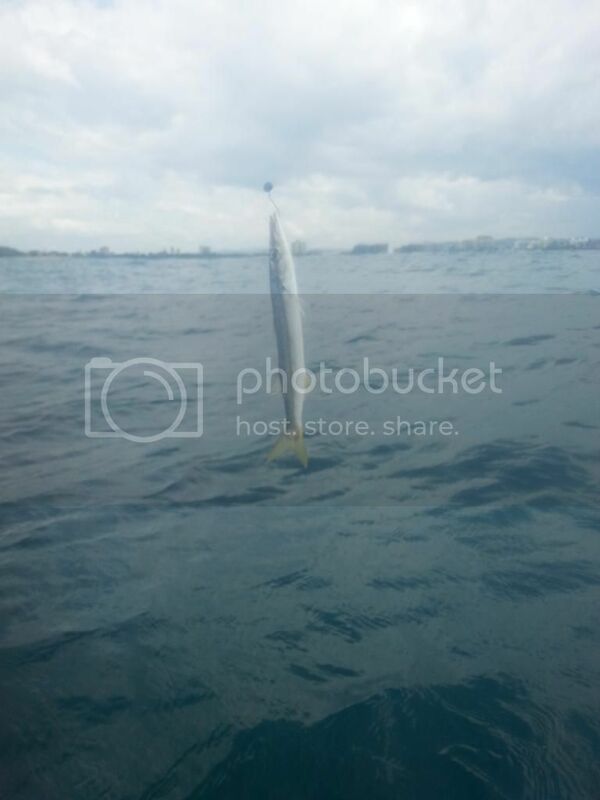 Pike! Make an excellent live bait for big jew fish!! Slimey & smelly otherwise - and can slice your line & pinch your lure! Holy Cow Brez - how did THAT happen?? That needed stitches!! That looks like a knife wound! Others eat Longtoms!! 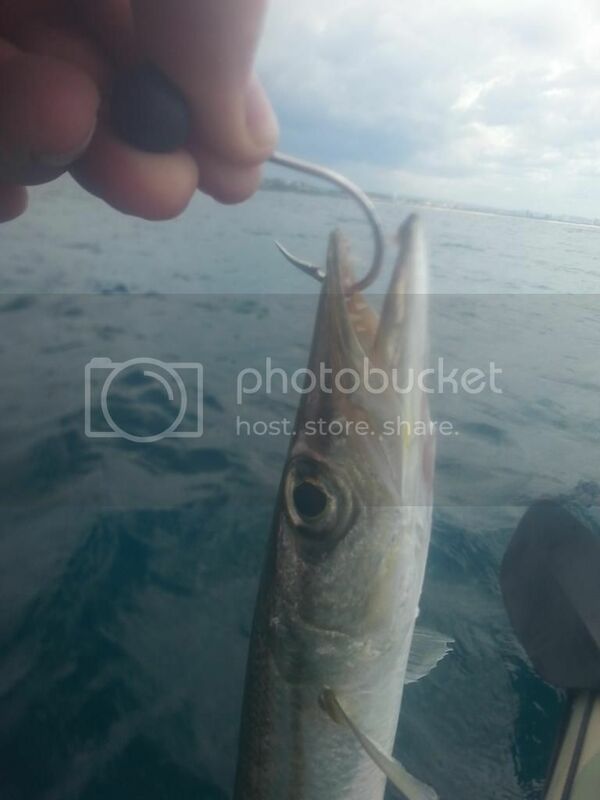 I hooked a HUGE one in one of the Hobie GFs and a buddy kept it & cooked it! Great live bait for snapper!!. Scarby reef is full of yellow tail pike hense the present's of large numbers of snap's. Cheers all. Good to know. What's a good way to rig them up for live bait given their length? This one was about 35cm I reckon. pmc086 wrote: Cheers all. Good to know. What's a good way to rig them up for live bait given their length? This one was about 35cm I reckon. Are these what people also call grinners? jaystar86 wrote: Are these what people also call grinners?